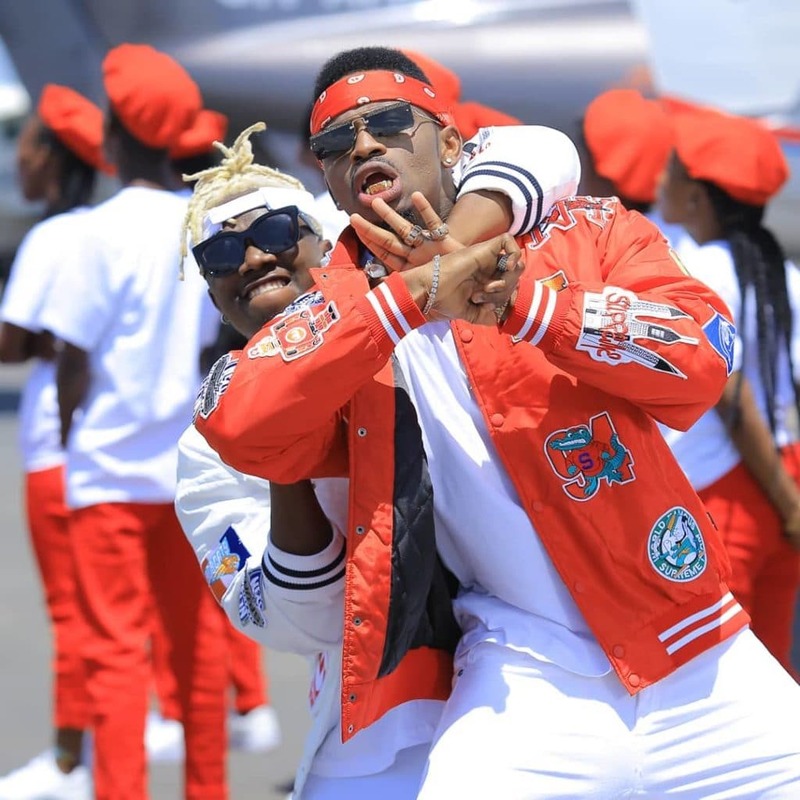 Bongo stars Diamond Platnumz and Rayvanny have been accused of stealing the concept to their new hit single Tetema. Released only two days ago, the hit single Tetema has over 2 million views on YouTube. According to the hawk-eyed social media users, a tiny bit of the song’s concept was taken right off “See You Again”, a song by an international artist known as Tyler the Creator. When the video hits the 15 second mark, there is a group of dancers standing in front of a plane adorning white t-shirts and red pants. This is similar to what Tyler did in his video, released in 2018. Also a little similar to another artists work is the song’s beat. The beat is apparently a copy paste version of Olamide’s Motigbana, also released last year. The Tanzanian artists Diamond and Rayvanny are yet to respond to the allegations.